The Pula region has a 3,000-year history and dates back to the myth of the Argonauts and the search for the Golden Fleece. 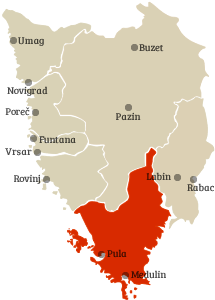 Pula was the home of the Histrians, the Romans, and the Venetians, and was also a major Austro-Hungarian port. 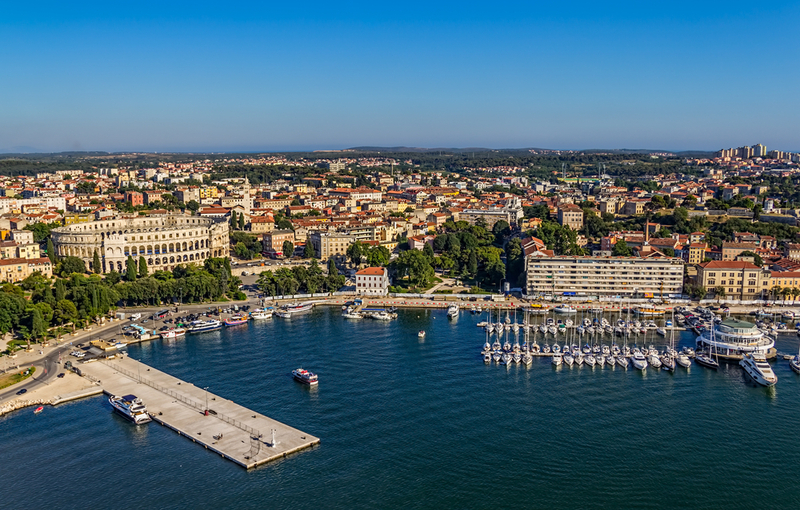 Pula, and it surrounding region, is now the largest cultural and economic center of Istria. - Barban: Barban is best known for Loredan’s Palace and the unique knightly race Trka na Prstenac (the race for the ring) that was established in 1696 and takes places every summer in August, the feast of wine, and the fig festival. Barban is also the birthplace of Pietro Stancovich (1771-1852), a canon, archeologist, historian, and author of Biographies of Distinguished Istrians covering 478 Istrians. - Fazana: Fazana is a fishing town that is more than just the port of departure for the 15-minute ferry crossing to the Brijuni National Park. Visit Fazana to visit the Gothic-style parish Church of Saints Cosmas and Damiango dating back to the 15th century, go swimming in its beautiful beaches, walk along the waterfront promenades, and eat at restaurants along the water while enjoying the view of Brijuni islands. Also visit the nearby Valbandon for a nice seaside walk. Fazana is well known for its pilchards (sardines) and holds the Pilchard Festival in August. Additional information is available at Fazana Tourist Board. - Vodnjan: Vodnjan is best known for the olive oil producers, long history and multitude of building from different periods, its bell tower that is the tallest (62 m) in Istria, and the mummified bodies of saints and collection of relics in St. Blaise church. Also visit the Istrian de Dignan Ecomuseum to learn more about traditions and customs of Istria. You can also ride on the main street of Vodnjan in an old carriage pulled by donkeys. - Liznjnan: Liznjan’s coast is 28 km long and offers some of the most unspoiled beaches in Istria. The hills of Liznjan overlook the Kvarner Bay and the islands of Cres and Losinj. Liznjan is great for biking on the coast, horse-back riding, hunting, and diving. - Sisan: Sisan is a village next to Liznjan. Rent a bike from BRB Sports and go riding and swimming on the coast of Sisan and Liznjan. - Marcana: Mercana is an old Istrian settlement also known as the village of many wells. The coastal area of Marcana is dominated by green peninsulas and beautiful bays. Almost at the southern tip of the Istrian Peninsula, the town of Pula busily goes about her industrial day amid first century Roman ruins, Byzantine churches, Austrian forts, and water so stunningly blue that it mesmerizes with every glance. Still, Pula is not the quaint, charming, relaxed town of her Istrian sisters. She is hard-working and industrious, busy fishing, building boats, and in general, making a living. Pula still has much to offer the patient visitor, however. Her roots run deep into history. The nearby Cave of Sandalja is the site of a Paleolithic find of Homo erectus inhabitants from a million years ago. Following in those footsteps, hill forts containing tools and jewelry of the Proto Illyrians marked the coming of the Bronze Age. Ruins from the first century, such as the Arena and the Temple of Augustus, provide reminders of a period of Roman rule. The city was destroyed once, in the midst of the Roman area, and once by an invasion of the Ostrogoths, eventually giving way to Byzantine, Austrian, Italian, and Yugoslavian rule. It's no wonder that the people of Pula speak so many languages in addition to their own. A reflective day spent exploring the city's past easily leads to an evening spent enjoying the area’s finest wine, seafood, olive oil, and delicious truffles. - The Arena: 1st century Roman amphitheater, one of best preserved examples of Roman architecture in the world. The arena hosts various performances during the summer. - Cape Kamenjak (aka Rt Kamenjak): Nature park at the southernmost tip of Istria that contains some of the most gorgeous views and spectacular beaches in Istria. - Temple of Augustus (aka Augustov Hram): Completely preserved; one of the majestic twin temples from ancient times that was built between 2 BC and 14 AD. - Triumphal Arch of Sergius: Dates back to 27 BC. The arch leads to the Via Sergia which heads into the historic Pula. - The Town Hall: The Town Hall or City Palace is one of the central points at the old Roman square. - Gate of Hercules: Oldest city gate from ancient times. - Porta Gemina (aka Twin Gate): Another Roman gate in Pula. - Kastel: Castle fortification with amazing views from atop and the Museum of Istrian History inside. - Museum of Istrian History: Inside the 17th century Venetian fortress, go to the top for amazing views of Pula. The museum has models of shipping vessels throughout history and World War II displays. - Archeological Museum of Istria: Exhibits date all the way back to the Histrian era. During summer, spend an evening listening to live musical events in the sculpture garden of the museum. - Historical and Maritime Museum of Istria: Unique collection of maritime artifacts. - The Punishment of Dirce: Roman floor mosaic. - Small Roman Theater: In addition to the Arena, Pula had two other theaters built during the Roman period. The larger one was situated outside the city and was not preserved. The Small Roman Theater was situated within the city walls and is preserved. - Pula City Tour: Enjoy the cultural and natural sights of the town by touring on the bus. - Zerostrasse: Network of underground tunnels built during Austro-Hungarian rule to enable safe passage in the event of bombardment. It can accommodate up to 6,000 people. - Market: Fresh vegetables and fruits, meat, and fish. - Cathedral of St. Mary: A mix of architectural designs. - Sacred Hearts (aka Sveta Srca): This gallery was opened by the Archeological Museum in 2011 in restored Church of the Hearts of Jesus and Mary and hosts a variety of exhibitions. - Franciscan Monastery (aka Franjevacki Samostan): The 13th century monastery with an adjoining museum that contains artifacts from Roman and medieval times. - Makina Gallery: Photography gallery with local and international work. - Lighting Giants: These iconic cranes of an operating shipyard are illuminated every hour during the summer. - Villa Trapp: The real von Trapp family which inspired the Broadway musical “The Sound of Music” lived in Zadar and Pula until the fall of the Austro-Hungarian Empire in 1918. The von Trapp villa, built by Georg von Trapp who was born and raised in Croatia, still stands in Pula and his parents are buried at the Austrian Navy cemetery in Pula. - Aquarium Pula: Aquarium is located in the Austro-Hungarian fortress Verudela, which was built in 1886. Go to the top of the fortress for amazing views of Pula. - Verudela: Pula’s marina, south of the city center. Most of Pula’s large hotels are located here. The most popular beaches are Hawaiian beach and Ambrela beach. - Lungomare: 4km long boardwalk inside the woods, famous for evening walks. - Galebove Stijene: Most western beach of Pula. The beach is rocky and the water beautiful. If you get a chance, also kayak in the caves for an amazing experience. - Valkane bay and Valsaline bay: Popular beaches with locals. - Nesactium: Capital of the Histri tribe (currently the village of Vizace) before Romans conquered Istria. - Pomer: Pomer is a tourist town near Pula. It was founded by the powerful Roman family Aranum and its original name was Pomerium. Pomer is now best known for its large marina, camp, and beautiful beaches. - Film Festival: Since 1953, for two weeks in July, films are hosted from all around the world. - South on Two Wheels: 6 cycling tours on the bike trails of south Istria. - Porer Lighthouse: The southernmost point of Istria boasts a lighthouse built in 1833. It is still active and can accommodate guests for sleepovers. - Smrikva Bowl: One of the most important tennis tournaments in the world for players under the age of 10. Also meet Mio Bozovic, author of Istria from Smrikve. - Accommodation: Park Plaza Histria, Park Plaza Arena, Villas Verudela, Hotel Galija, Hotel Brioni, Hotel Valsabbion, and Boutique Hotel Oasi. Additional information about Pula is available at Pula Tourist Board. - Levan Island: Pleasant little island lying on the crystal clear sea. - Excursions: Take a lovely cruise around the Medulin peninsula. Medulin Excursions is a popular boat tour. - Metta Float Yoga: Yoga on the water. Yoga at night is especially interesting. - Beaches: Great beaches, especially the sandy beach for kids. - Adrenalin Park: Various activities for kids. - Horseback riding: Horseback riding by the water. Samy’s Ranch had great horses and experienced trainers. - Sea sports: Windsurfing and other water sports at nearby Windsurfing Station in Premantura. - Diving: The Medulin Riviera treasures a great number of sunken ships. - Delic Air: Offers scenic flights over Istria. - Medulin Craft Beer Festival: Two-day craft beer festival held in September with over 30 independent breweries. - Shopping: Grab some wine, olive oil, or other souvenirs at the Terraneo Souvenir Shop. - Accommodation: Park Plaza Medulin, Park Plaza Belvedere, Villa Velike Stine, Hotel Minerva, Holiday Hotel, and Hotel Arcus Residence. Additional information about Medulin is available at Medulin Tourist Board. The Brijuni Archipelago, embracing a clutch of 14 pretty island jewels collected near the southeastern coast of the Istrian Peninsula, is both a contemporary resort and historic preserve. Ancient ruins reflecting early Roman villas, a 13th century church of the Knights Templar, and Bronze Age hill forts compete for attention alongside an exclusive star-studded resort turned Presidential summer retreat, graced with abundant flora and fauna. The Romans initially settled in the Brijuni because of its valuable quarries, transporting the stone back to Italy for buildings and works of art. The Middle Ages brought rule by the Venetians, followed by a brief Napoleanic era. Next, the Austrian Empire built a fortress on Veliki Brijun. Paul Kupelwieser, an Austrian businessman, bought the entire archipelago in the 1893, turning it into a luxury holiday destination. Italy took control after WWI, but the successors could not navigate the difficult economic conditions following the 1929 stock market crash, resulting in bankruptcy. Under Yugoslavian rule between 1949 and 1979, President Marshall Tito made the Brijuni his personal summer estate. The islands became a National Park upon Tito's death, and with Croatia's independence in 1991, the grand Austrian era hotels were reopened as the destination transformed into an International Conference Center. Today, many visitors come for ecological holidays, either sailing their own boat into the marina, or hiring a tour for the trip. There are no motor vehicles on the island other than service vehicles. Protected for more than a century, the waters and landscapes remain pristine and untouched, making this a fabulous destination for enjoying a swim, a hike, or a photo shoot. - Byzantine Castrum: A fortified wall town from Byzantine Empire which ruled from 6th to 8th century. - Roman Villa: Roman remains back to the first century BC. You can also go swimming in this Roman bay. - Gradina: Fortified Bronze Age settlement with preserved walls. - Tito Museum: Learn about President Tito’s life. Across the exhibition building, visit Koki the parrot, one of President Tito’s favorite pets. - Underwater trail: Unique experience visiting natural & archaeological sites of the marine world. - Archeology: Professionally guided tour introducing visitors to various cultural periods of the islands. - Golf Course: Historical 22-hole golf course on which you can still play. - St. Jerolim Island: All-day tour on St. Jerolim Island with sunbathing. - Garden: Beauty of Brijuni islands includes various Mediterranean flora. - Safari Park: Stretching over 9 hectares, the park is the habitat of animals from all over the world given to President Tito as gifts. - Swimming: Brijuni’s entire coastline features unspoiled nature and clear water. - Biking and walking: Rent a bike or take a walk on the beautiful Veliki Brijun. - Theater Ulysses: Classic theater performances are held in July and August at the fortress on Mali Brijun. 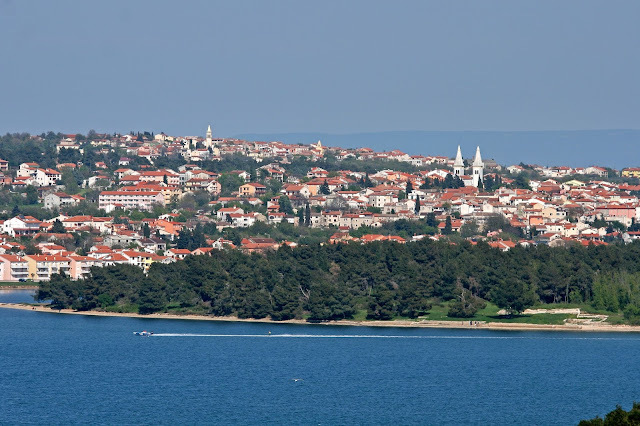 - Overnight stay: The best way to see the Brijuni National Park. There are 2 hotels and 5 villas on Veliki Brijun. - Accommodation: Neptun Istra Hotel and Hotel Karmen. 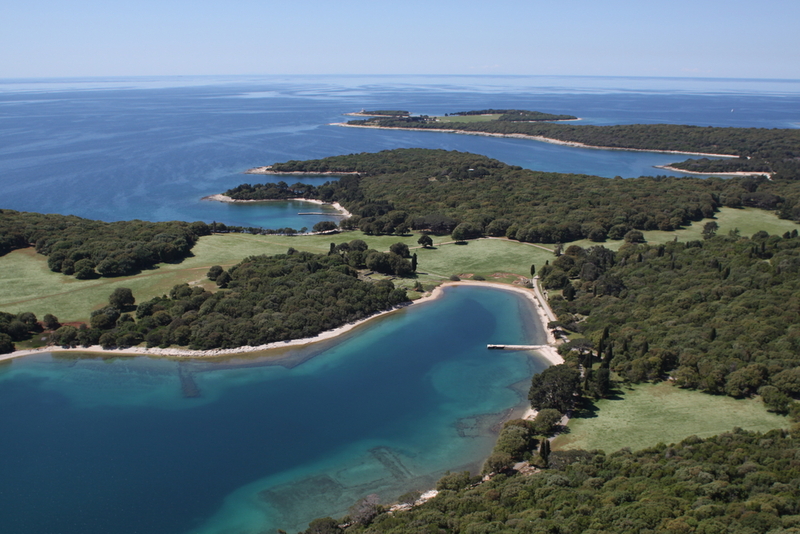 Additional information about the Brijuni National Park is available at Brijuni Tourist Board.